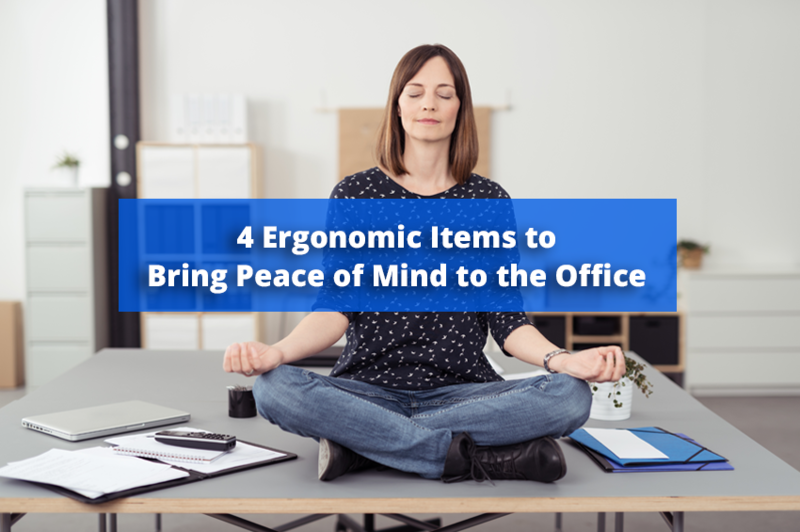 Ergo-Safety: 4 Ergonomic Items to Bring Peace of Mind to the Office - Solutions Northwest, Inc. Sitting and staring at a computer screen all day can be detrimental to your health and well-being, but what if your job requires it? Savvy office managers are beginning to implement ergonomic solutions to help employees not only be healthier, but also more productive. Read on to discover 4 ergonomic office items that will keep your body healthy and your work day more productive. Long office hours hunched over the computer can lead to bad posture, back pain, and neck stiffness. Invest in an ergonomic chair specifically created with the human anatomy in mind. Most ergo chairs come with a breathable mesh to allow your body to cool and you can adjust the armrest, headrest, seat tilt, and height. The adjustable monitor stand is a smaller and cheaper alternative to a standing desk. You don’t have to lift the entire desk – instead, you adjust the height of the computer monitor and sit or stand accordingly. Monitor stands are great for laptops as well, because it’s harder to adjust laptop screens to your eye level without props. Your wrists are under a lot of pressure during the day as you handle the mouse and keyboard. After a while, you may start developing a carpal tunnel syndrome that will make your desk work even more painful. An ergo mouse and a mousepad should be crucial parts of your ergonomic office, especially if you spend more than four hours a day in front of a screen. Consider a vertical mouse or split keyboard. Spending hours at your desk with your legs hanging down can lead to poor blood circulation, varicose veins, and weakened leg muscles. An ergonomic footrest is a simple, affordable solution to this problem that will keep your legs elevated to prevent swelling and knee pain. Plus, it will make your desk work more comfortable. Working at a desk for eight hours a day can take a toll on your health, especially your back, neck, and knees. More companies have been investing in their workers by replacing their outdated office furniture with ergonomic office equipment and performing ergonomic assessments as needed. To keep up with the newest trends in the ergonomics industry and discover new ergo office products, we recommend contacting SolutionsNW.com, a leader in the ergonomics field, for more information.